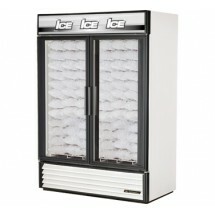 There is no better way to display bags of ice than with an ice merchandiser. 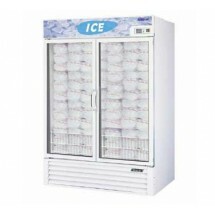 Ice merchandisers are designed to attractively display and store ice at the prefect temperature in convenience stores, gas stations, and even at the corner market. 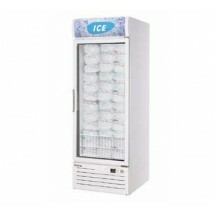 Shop for great prices with financing options available on ice merchandisers from top performing refrigeration brands including Turbo Air and True Refrigeration. 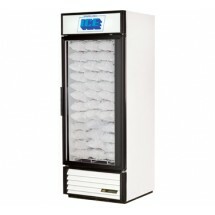 Turbo Air TGIM-49W-N White Two Section Glass Door Ice Merchandiser 55 Sold As: 1 ea You're pre-approved for a cash advance!